Confirm whether the customer will pick up their order or have it delivered. Contact the supplier to confirm stock availability. If applicable, please organise payment at this time. 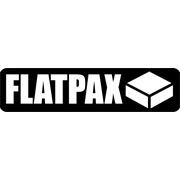 Flatpax Utility offers a versatile range of modular cabinets that can be used in any area of your home or office. From the kitchen to the laundry, or just some extra storage space in the garage, you will find what you need. Laundry How to build linen closet shelving Make the most of your closet space and get organised by installing shelves. In this video we show you how to install shelving and basket units for a linen closet. Laundry How to assemble a wall drying cupboard Wall drying cupboards help you to maximise the space you have in the laundry. They’re also easy to build with all of the hardware you need in the kit. 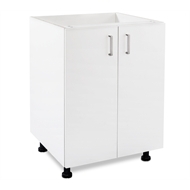 Laundry How to install a broom cupboard Make the most of your storage space in the kitchen or laundry. This video will show you how to easy it is to install a broom cupboard. Laundry How to install a laundry cabinet Learn how to measure and fit a laundry cabinet. We’ll show you how to cut holes for pipes and drainage and attach the cabinet to your wall. Laundry How to assemble a linen chute cupboard Clean up your laundry and all of your linen. In this video we show you how to install a simple linen chute cupboard. Laundry How to install an ironing centre Installing an ironing centre in is an easy project that adds a modern touch to any laundry. Ironing centres make ironing easy to set up, easy to use and easy to pack away. Laundry How to design a laundry If you want to make the most of your laundry space, all it takes is some basic planning. We’ll show you a few simple tips to help design your laundry.